David Francis, director of Sunday School for LifeWay, has said it many times. When surveyed, the vast majority of people (80-90%) say they first came to the church they currently attend because someone invited them. A personal invitation from someone they knew. We as kids ministry leaders want kids to live out their faith, to do God’s Word. Sharing their faith is key, and one way to do that is to invite friends to church. How can we encourage kids to invite their friends to church? Our kids ministries must have two foundational characteristics in place. 1. We must teach kids biblical truths, including the commission to tell others about Jesus. The Bible must be central to all we do. 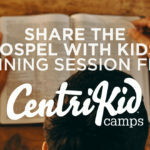 Leading kids to hear and know God’s Word is foundational to doing God’s Word. They cannot live out something they haven’t learned, understood, and experienced. God tells us His Word is powerful and will work in lives. We must be diligent to teach it and tell it. 2. We must provide learning experiences that make kids want to come back. And when kids are excited about coming to church, they will naturally want to invite and bring their friends. Engaging experiences can be a lot of different things – and any church regardless of size, location, or resources can offer kids a learning experience that challenges and excites them. I think those are the foundations but there are lots of different ways to make these happen in a church. 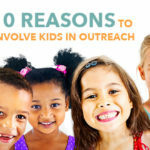 What are some things you have done that have helped kids get excited about bringing friends to church?